From stunning mountain views to lively cities, Colorado has much to offer. And Denver is the perfect gateway for many of these incredible locations. If you’re looking to get out of the city of Denver and enjoy the beauty of Colorado, here are some of the best day trips from Denver. 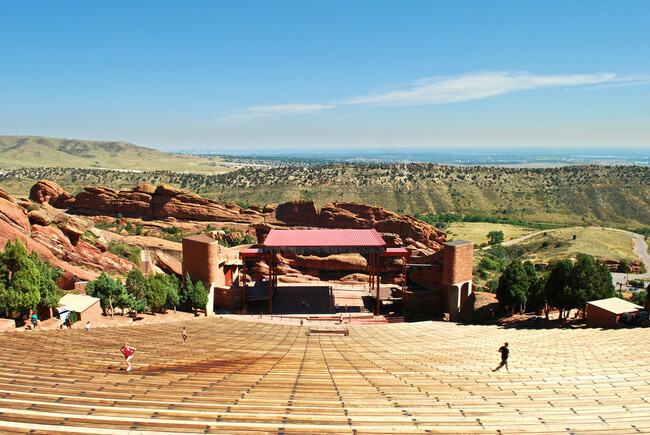 Red Rocks Park and Amphitheatre is just 25 minutes outside of Denver near the town of Morrison. The amphitheater itself is a stunning concert venue carved into a rock formation that hosts some of the best music acts in the world. During the day, the amphitheater is a popular place for exercise enthusiasts. Red Rocks Park offers plenty of sightseeing opportunities as well as picnic spots and wildlife viewing. The city of Boulder is an idyllic place to spend the day, and it’s just 40 minutes from Denver. 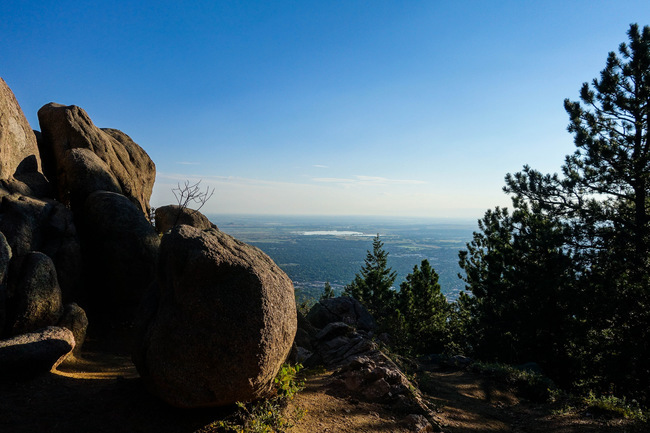 For outdoor recreation, check out the Flatirons or spend some time in Chautauqua Park. In fact, you’ll find access to over 200 miles of hiking and walking trails. Downtown Boulder is full of breweries, restaurants and quirky shops. Take a stroll down Pearl Street Mall or visit the Celestial Seasonings Tea Factory. 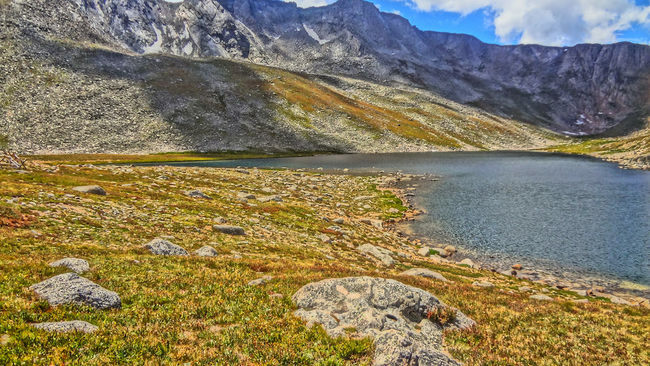 The Mount Evans Scenic Byway is an exciting day drive just an hour and 40 minutes from Denver. The byway is the highest paved road in the country, giving drivers the unique experience of driving up to the peak of Mount Evans, one of several “fourteeners” in Colorado, mountains standing above 14,000 feet. The road is 14 miles long starting at stunning Echo Lake and winding up to a viewing platform near the mountain’s peak. It’s only a quarter-mile hike from there to the true peak. Visitors can expect to see mountain goats and big horn sheep along the way as well. The towns of Blackhawk and Central City, just 38 miles from Denver, are old mining towns that have been transformed into mountain gambling resorts, with several casinos offering overnight lodging and entertainment. When not trying to hold onto your poker chips, stop at Dostal Alley Brewpub in Central City for craft beer and pizza. Visit the Central City Opera House or take a tour with the Gilpin Historical Society to learn about some of Colorado’s mining history. White River National Forest, an hour outside of Denver, is a massive forest area with eight wilderness areas, 1,900 miles of roadways and 2,500 miles of hiking trails. Outdoor adventurers can expect to enjoy wildlife watching, horseback riding and camping as well as hiking. In the winter time, you can spend some time in one of the many ski areas in the forest, including Vail, Snowmass and Breckenridge. 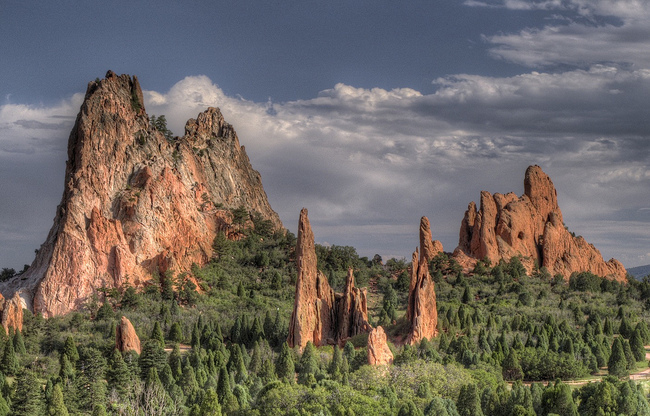 Colorado Springs is not only the second-largest city in Colorado, but it’s also only an hour’s drive from Denver. The city is bustling with arts and culture, including several museums, the Cheyenne Mountain Zoo, and the U.S. Olympic Training Center. For outdoors enthusiasts, pay a visit to Pikes Peak or Garden of the Gods, one of the most stunning city parks in the country, with red rock formations millions of years in the making. 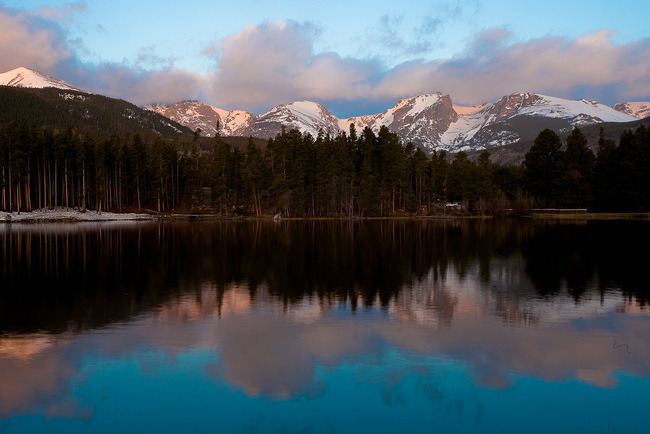 You’ll want to take a day to visit Rocky Mountain National Park, one of the most visited national parks in America. Spend some time in the Rocky Mountains, enjoying hiking, camping and wildlife watching. You’ll enjoy stunning lakeside views and small glaciers. If you’re not feeling like being adventurous on foot, Trail Ridge Road gives the visitors a chance to enjoy the park from inside their cars. Georgetown is a unique mountain town just a few hours outside of Denver. The town itself consists of over 200 restored buildings from the 1870s, giving it Victorian charm. Wander down the charming Main Street and pop into some of the shops or restaurants as well as many antique stores. 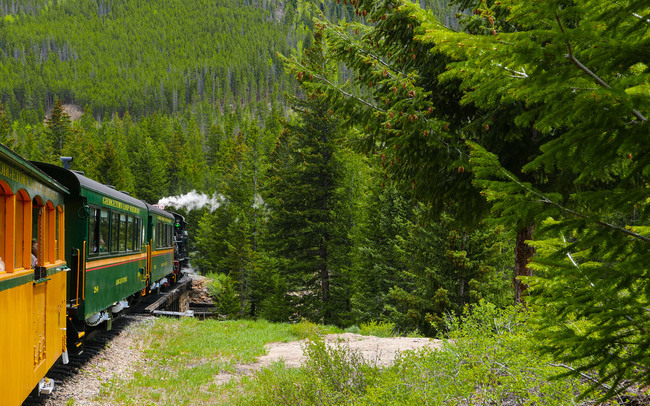 The Georgetown Loop Railroad allows visitors to ride on narrow-gauge steam trains over mountain ledges. 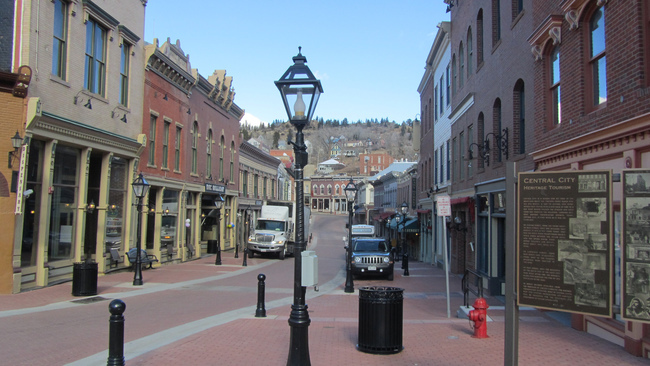 Visitors can travel two-and-a-half hours outside of Denver to the mountain town of Glenwood Springs. There, visitors can enjoy the local hot springs and vapor caves as well as the thrills of Glenwood Caverns Adventure Park. 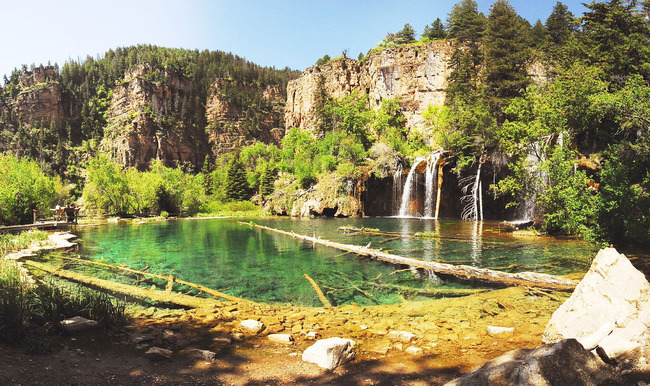 Visitors can also hike the trail to Hanging Lake, a one-mile trek uphill where visitors can enjoy beautiful views and and photo opportunities. While many visitors come to Colorado for the mountain views, the eastern plains offer stunning grassland areas worth seeing. 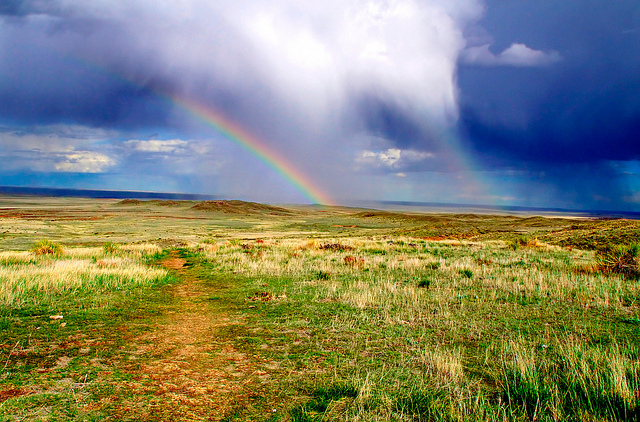 The Pawnee National Grassland is a two-hour drive from Denver and provides visitors with the chance to explore 200,000 acres of grassland. Several hiking trails allow you to explore the visitors and take up popular bird watching adventures. Overnight campsites are also available.